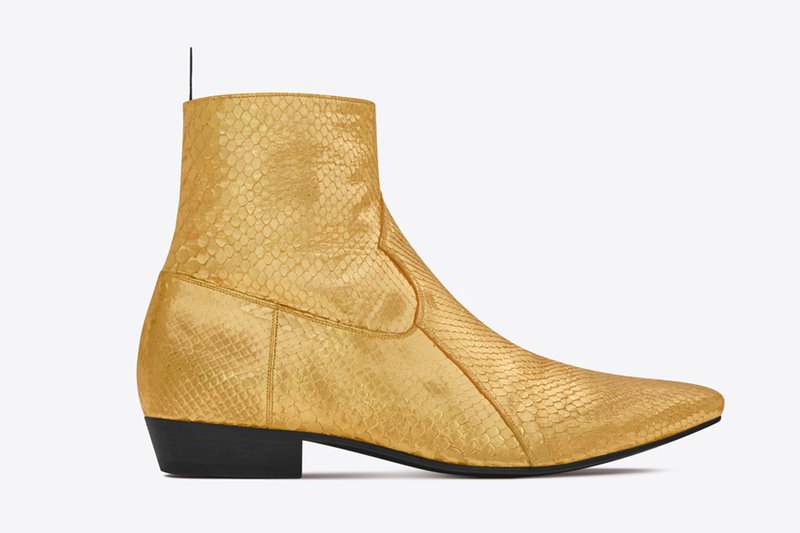 Saint Laurent’s latest men’s shoe collection features a certain retro glamour that wouldn’t be out of place in Velvet Goldmine. Hedi Slimane is known for his refined rock n’ roll aesthetic, and so these glittery new kicks come as no surprise. The Tunisian/French photographer and fashion designer was creative director for Saint Laurent from 2012 to 2016. This particular collection, which debuted recently at the label’s runway show in Los Angeles, marks Slimane’s last for the company. Many of the shoes feature an androgynous, flamboyant edge, with stacked heels and glittery details. 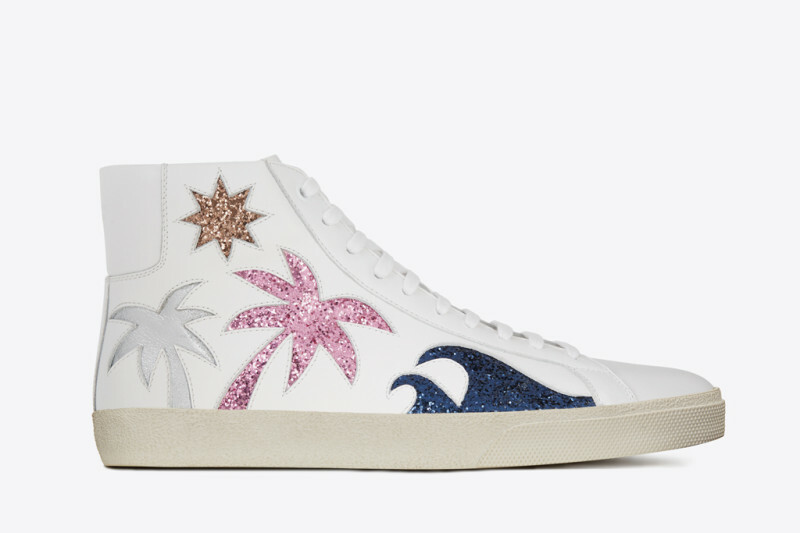 One of the featured shoes is a stylish sneaker with a California-esque motif of glittering palm trees. Texture is an important element of the collection, and there is a lot of velvet, shimmering metallics, and embossed patterns.